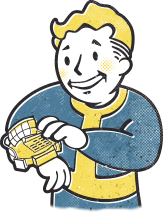 It's Reclamation Day Vault Dweller! Reclaim what the bombs took away! Reclaim the land! Emerge from the vault and rebuild America!